WE STILL HAVE LODGING SPACE AVAILABLE; BOOK YOUR TRIP TODAY! We have three marina-view condos available May through October; each unit has a balcony overlooking Knudson Cove and sleeps four people comfortably. You'll find a fully-equipped kitchen, gas barbecue, and washer and dryer. Internet access and digital cable are included. Reservations for October through July 31st include a free daily rental of a 14' skiff. If available, you can upgrade to a 16' skiff for just $75 per day. Rates are based on 1 to 4 guests. Additional guests will be charged $25 per night, maximum of 6. Local sales and bed tax is 6.5% A 50% non-refundable deposit is required at time of booking. Located just 100 yards above Knudson Cove Marina, The Captain's Suites boast two one-bedroom suites with two double beds plus two futons in each living room. These suites have an adjoining door that can be opened up if you rent both units; they also have a partial view of the marina. In addition to the one-bedroom units, the Captain's Suites also offers a two-bedroom house with 4 double beds. The house has no view. In all three Captain's Suites, you'll enjoy a well-appointed kitchen, deck with BBQ, and laundry facilities. Reservations for October through August 15th include a free daily rental of a 14' skiff. If available, you can upgrade to a 16' skiff for just $50 per day. This is ALASKA! Enjoy the privacy of your own well-equipped cabin in the remote wilderness. Fish right off of your private dock or take the boat a few yards out to make your catch. This is where you want to be! There are TWO cabins that have 4 queen beds in two bedrooms in each unit. A small TREEHOUSE is perfectly placed on an old growth Cedar stump for those that have always wanted to spend a night in a tree. The treehouse sleeps one on the single bed and a second person on a inflatable mattress on the floor and also comes with bathroom and a shower. Reserve both Cabins and the treehouse for your own retreat @ $1150 per night. Sleeps up to 20 comfortably if you don’t mind sharing beds. These units are accessible by boat only. 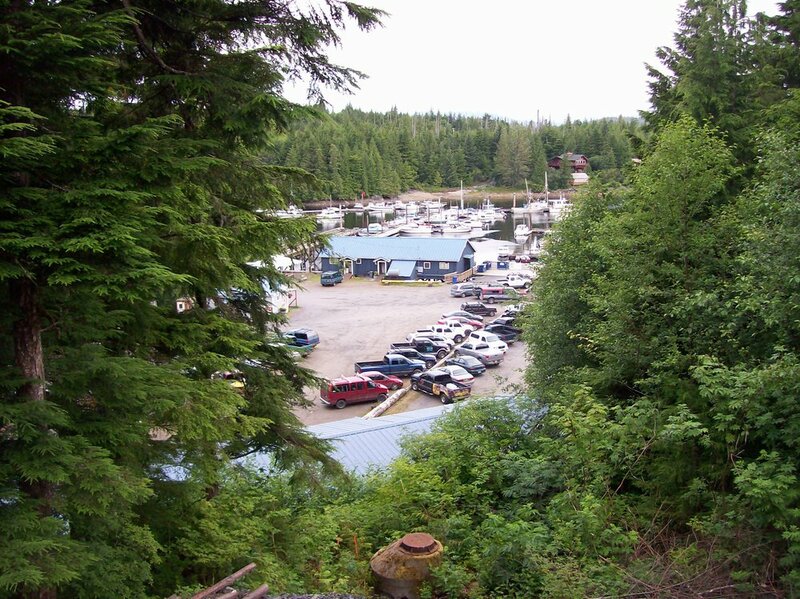 A boat rental will need to be made through Knudson Cove Marina. The cabins are only 15 minutes by boat from Knudson Cove Marina. We can arrange charters for you or you can do it all yourself! We rent skiffs and covered boats, tackle, and rods. Our dock has a fish cleaning station and we provide shelf space in our walk-in freezer for condo guests. A commercial vacuum packer is also onsite for guests to use, and we sell wet-lock boxes for transporting your fish home. If you want your fish to be processed and sent home via Federal Express, Gateway Smokehouse provides custom processing services and will pick up your catch right here on our dock.